As it is often the case in IT, the success of a new technology depends on the concrete application scenarios. If these are classic areas of application such as invoice management or human resources, the success of new technologies is almost guaranteed. 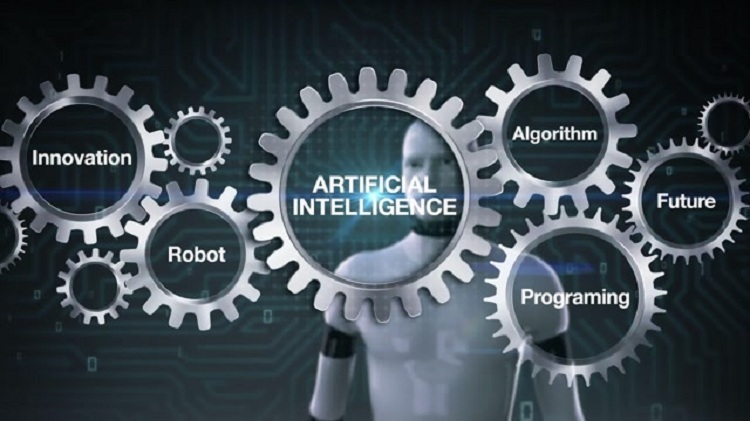 But when it comes to topics such as the use of artificial intelligence, machine learning and others, many companies find it quite difficult. Time, then, to show, using the example of the financial market, in which areas Artificial Intelligence makes sense. Many software manufacturers already have AI-supported analysis capabilities in their portfolio, which customers can use to increase their sales. These include churn analyses (customer churn), individual sales forecasts or personalised prices. As Example: SAP is using its Leonardo product range to promote its “next-best-offer” functions, which can be used to predict customer requirements. The goal: to offer the customer the right product at any time. In addition, numerous companies are working on the development of so-called virtual credit advisors who can communicate with customers in several languages via text chat or voice interface. However, artificial intelligence can also be used beyond traditional retail and corporate banking. This includes, for example, algorithmic trading, i.e. the automated trading of securities and the development of investment strategies based on behavioral analyses and extensive market data. When it comes to customer communication, chatbots are not only an integral part of AI-supported solutions in today’s financial industry. Newer approaches go beyond this. Providers specialising in the financial and insurance sectors are already working on systems that can automatically improve the customer experience. To this end, software tries to identify the most appropriate action depending on the situation and also uses country-specific and customer-specific information. For example, an intelligent system could predict a maximum of three of the most likely transactions or screen contents in which a particular customer might be interested. The basis for this is the topic of big data, i.e. an extensive database with customer-specific information. According to Forrester, however, only a few providers have dared to tackle the complex topic of automated personalization and optimization of customer interfaces. But that this will change in the near future is foreseeable. AI-powered CX Optimization (CX = Customer Experience) is now on the roadmap of many providers. IT decision-makers could assume that such capabilities will also be incorporated into current standard software within the next two years. Robotic Process Automation (RPA) has been on the list of banking platform providers for some time. The potential of Artificial Intelligence for efficiency goes beyond RPA. Artificial intelligence can also help banks to work more efficiently in traditionally less automated areas. Examples of this are trade finance and syndicated lending. Because there are often no standards in such areas, AI-based banking applications could help to merge structured and unstructured data. They would also be able to identify missing information or documents in the payment process, for example. To make processes even more efficient, IT decision-makers should work closely with specialist departments and banking software providers and identify quick wins. Comparatively few use cases fall into this category. However, the economic benefits can be considerable, as can be seen in the example of the “false positives” in the area of fraud detection. Such mistakenly classified as illegal or suspicious transactions can account for more than 90 percent of money laundering investigations, for example, an enormous waste of time for investigators. The major British bank HSBC uses Artificial Intelligence to reduce the number of false positives and to better concentrate on the real criminals. The possible use of Artificial Intelligence in the financial market alone is very diverse and offers numerous application possibilities. It can help to significantly optimize existing processes, improve interactions with customers and protect companies from possible damage by third parties. However, the prerequisite is that the company is prepared to deal with this new technology. Used correctly, AI can mean a real increase in value for companies.